Shock absorbers are an important component of any vehicle suspension system. The majority of vehicles have once shock absorber for every vehicle tire. Each shock absorber provides significant strength and functionality to a vehicle's suspension system. The main purpose of shock absorbers is to limit overall vehicle body movement, or sway. As a vehicle is driven, the body will move up and down or side to side to various degrees in response to driving and road conditions. These type of vehicle movements are held in check by shock absorbers. Depending on road conditions or driving style, a vehicle can go from smooth and controlled to bumpy and erratic in a short time period. Shock absorbers stabilize the overall vehicle ride, preventing an excess of vehicle body lean or roll in any one direction, especially when cornering or navigating sharp turns. This stabilization allows for greater vehicle control and stability. hicle body movement and ride, exerts a tremendous stabilizing force on each vehicle tire. A shock absorber prevents a vehicle's tire from hopping or bouncing in uneven or choppy terrain and helps to a vehicle tire planted firmly on the ground or road surface. By helping to stabilize and control the movements of a vehicle tire, a shock absorber helps to minimize tire tread wear. Tires that are held firmly against the ground and held in position by a firm shock absorber last longer and experience much less tread wear. Shock absorbers are only part of a vehicle's overall suspension system. Most vehicles utilize a combination of various leaf springs, coil springs and struts to stabilize and control a vehicle's movement. Shock absorbers basically absorb and deflect a great deal of initial road impacts and/or body movements. What shock absorbers can't contain gets passed on to other parts of a vehicle's suspension system. Often abbreviated simply as "PSD", this design is another evolution of the twin-tube shock. 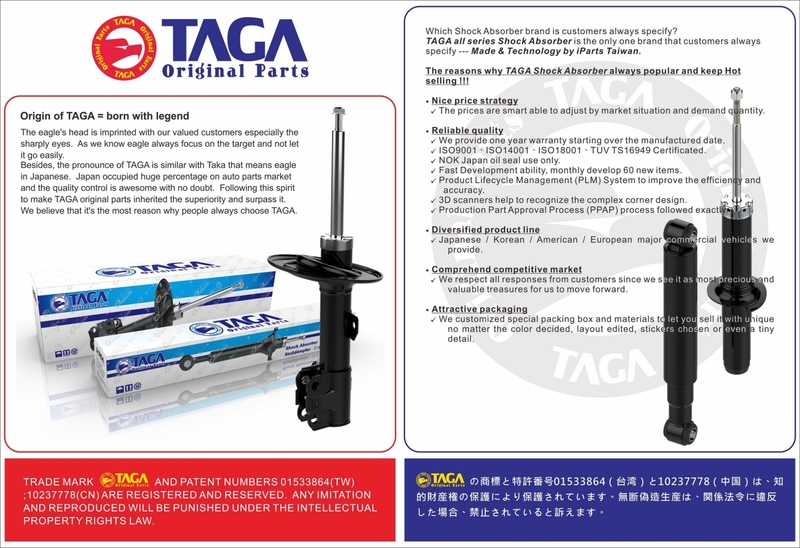 In a PSD shock absorber, which still consists of two nested tubes and still contains nitrogen gas, a set of grooves has been added to the pressure tube. These grooves allow the piston to move relatively freely in the middle range of travel and to move with significantly less freedom in response to shifts to more irregular surfaces when upward and downward movement of the piston starts to occur with greater intensity. This advance allowed car designers to make a shock absorber tailored to specific makes and models of vehicles and to take into account a given vehicle's size and weight, its maneuverability, its horsepower, etc. in creating a correspondingly effective shock.